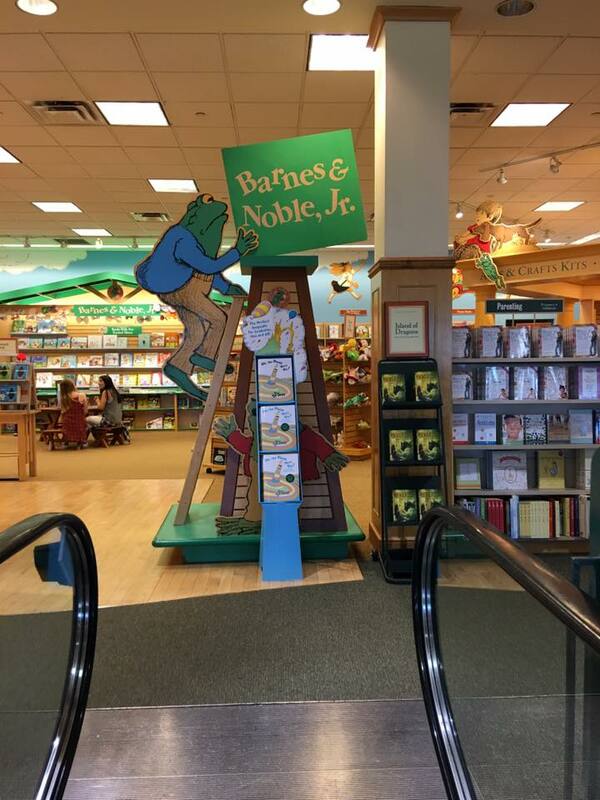 I was at a bookstore looking for new books to buy for my children. As the escalator took me up the second floor where children’s books are, I was welcomed by a gorgeous display of Oh The Places You’ll Go, one of my favorite Dr. Seuss’ s book. I did not grow up reading his books, in fact Dr. Seuss was not very popular in Indonesia, at least not when I was a kid. I started to enjoy reading Dr. Seuss’s book since I had children of my own. As a parent, I like Dr. Seuss’ book because they are good for beginner readers, his books teach admirable life lesson, and the words rhyme. I like rhyming words. To very young children, the message on some of Dr. Seuss's books might not be very clear, therefore it is important for us parents, to read it to them or make them understand the lessons behind each stories. The first time I ever read Horton Hears a Who to Owen when he was in kindergarten he had no idea what the story was about other than a big elephant trying to safe little creatures from being destroyed. I had to explain to him what's the hidden message behind the story. My excitement to see Dr. Seuss's books on displays at Barnes and Noble, wanting me to write this article and to share what I think about some of his books that I have read to my children. This book is my favorite. I enjoy reading this to my children, I even enjoy reading this to myself. To me this book is powerful. I somewhat feel connection with this book. As a kid, I always loved hearing stories from my dad every time after he came home from his job assignments in another country or another islands in Indonesia. My dad once said when he was in high school he never dreamt of being rich, all he wanted was to travel the world and to share stories. He loved story telling and his wishes came true. He worked as a journalist. He steered his life to a direction he chose. This book teaches children that they determine their own destiny. They can be whatever they want to be if they put their mind to it. Heck, it is not only for children, this book inspired and motivated me as a grown up. In the future, when my children are graduating from colleges, I will keep reminding them of this great line in the book, “You’re off to great places! Today is your today. Your mountain is waiting, so you get on your way!”. I was a book worm when I was a kid. I'd rather read a book than playing with my friends. I could stay up late to read books. I was always looking for new books to read, when I had no more, I read newspapers, magazines, and sometimes (don't laugh), I read manual instructions on my father's speakers, CB radios, and amplifier. I want my children to enjoy reading too and I told my children so many times that they will learn a lot from reading. Reading will broaden their universe and their knowledge. I wish I had more time reading now like I used to when I was a kid. “The more that you read, the more things you will know. The more that you learn, the more places you’ll go”. This book teaches children to be curious of their surrounding, and to never stop learning. Knowledge is power and reading book will take them to so many amazing places. My husband and I love taking our children to see children’s movies in the movie theatre. One day after a movie, my son said he would like to build a movie theatre in which every stall in the restroom will have a small screen. That way if the audiences need to use the restroom they can continue watching the movie while doing their business, so they won’t miss a scene. He came up with this idea after I had to go to the restroom and missed one important scene of the movie. It wasn't the first time he had this crazy wild idea. He shared many ideas with us, some of those ideas sound impossible but it's always fun to hear them. “Think left and think right and think low and think high.Oh, the thinks you can think up if only you try”. This book teaches young children the nature of thoughts, imagination, possibility and reality. It encourages children they are capable of enormous creativity. Anything is possible if you put your mind to it. Recently, my son was assigned to create a habitat of endanger animals. He chose The Sumatran Rhino (to honor his mom who is Indonesian,-proud moment here). He learned a great deal about Sumatran Rhino and he was saddened by the fact that there are only less than 100 Sumatran Rhino left. Last year, I was outraged when I learned about the fire of the forests in Sumatra and Borneo island. I shared this tragedy with my son. I explained to him how it happened and why it happened. Human can be greedy, human can be irresponsible. We have the books at home and we watched the movie. 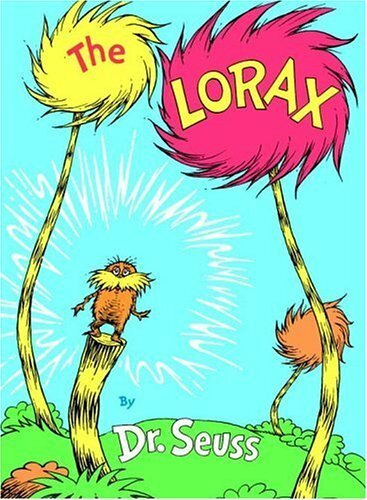 The Lorax teaches children about caring for the unspeakable, the trees, the animals, the environment as a whole. If you want a better world, you have to care. We can make difference, and it starts with taking responsibilities and speaking up. “I speak for the trees, for the trees have no tongues.” Who else will care for the environment if not us, the caregiver of this planet. Although I don’t eat ham and I don’t really like egg, but I love Green Eggs and Ham. I LOVE reading this book to my children. I love the rhyming on it and I love the life lesson behind it. 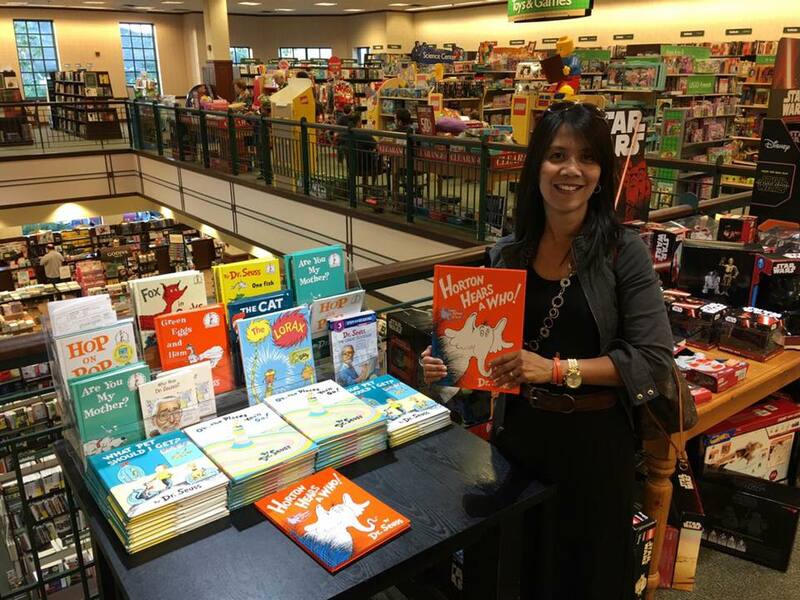 This book teaches children about being persistence and how to overcome obstacles. It was through persistence the character named Sam-I-am finally got the unnamed character to try the green eggs and ham. Persistence pays off. Persistence is one thing that is lacking in me and I certainly don't want my children to pass this. I want them to be persistence. This book also teaches children not to be afraid to explore and try new things. Green eggs and ham? sounds crazy, but how would you say you don't like it if you haven't tried it? Yertle The Turtle is a king, a leader. A bad one. He is extremely ambitious and has no regard for the people he ruled. If you are a boss, a group leader, a parent, a husband, a wife, a big brother, a big sister don't be like Yertle. "You've no right to talk to the world's highest turtle. I rule from the clouds! Over sea! There is nothing, no NOTHING, that's higher than me"
“I know up on top you are seeing great sights, but down here on the bottom, we too should have rights”. This book teaches children, and us adults about leadership and equal rights. It is a reminder not to climb over people on your way to the top, because they’re the same people you’ll see on your way back down. I read the book to my children, and we also watched the movie. There are many life lessons in this story, but the main thing is about respect, compassion, tolerance, acceptance, and forgiveness. “A person’s a person no matter how small”. If someone is weaker and smaller than us, does not give us the right be to mean. Learning to accept that other people are different is one of the most important lesson that children need to learn. In an essence, there is an anti-bullying message in this story. “I meant what I said and I said what I meant” , Horton teaches me about integrity, and once a promise is made, we must keep it. The most read Dr. Seuss’s books we have at home is The Cat in The Hat. As I am writing this, I am thinking what this book really teaches us? I thought there is really nothing to the story other than Sally and her big brother are having fun with a stranger (the cat) while their mother is away. Voila! It teaches children to have fun. The Cat In The Hat celebrates fun and responsibility. The kids in the books want to have fun but they also want to honor their mother’s wishes by being responsible. Learning to balance pleasure and responsibility is one of the hardest lesson as we grow up. Happy Birthday To You teaches the kids about being true to themselves. Did I Ever Tell You How Lucky You Are? teaches children about gratitude. One Fish Two Fish Red Fish Blue Fish teaches children about diversity and embracing change. How The Grinch Stole Christmas teaches children about the true meaning of Holiday. 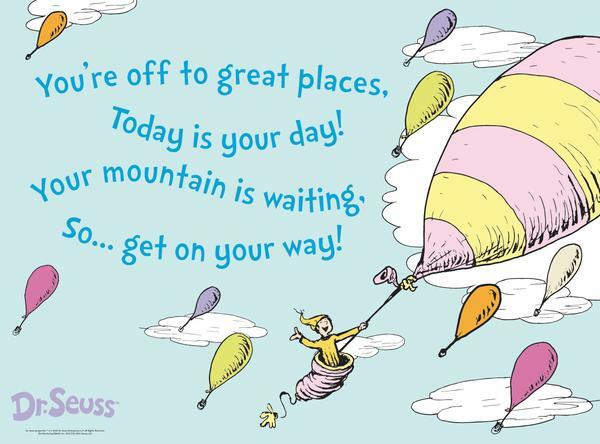 I wish I read Dr. Seuss’ books when I was a kid, I could’ve used many of his life lesson while I was growing up. However, I am glad I get to learn his wise life lessons now that I am a mother. The Cat In The Hat teaches me that it is okay to have a messy house. I want my children to have fun, lots of fun especially at home. They can be messy but as long as they clean up their mess, I am ok. In the end, a clean home is a happy home. Yertle The Turtle teaches me that even though I am a mother, and I rule the house, I also need to listen to what my children have to say. Only by listening I can understand them. I am a better mom when I listen to them. Horton Hears A Who teaches me that I have to mean what I said and I said what I meant. If I want my children to have integrity, then I should be Horton. I should not make promise I can't keep. I need to build that trust between me and my children. Oh, The Places You’ll Go teaches me the importance of building confidence in my children self esteem. There were times when my son felt left behind because his friends thought he was not good at playing kickball at school. I told him he can only get better if he keeps practicing. His dad takes him to practice kickball, we enrolled him into baseball class. He is now a different boy that he was a couple of weeks ago. He gained more confident while playing kickball at school. He scored a couple of home run that made his friends cheered for him. Oh Dr. Seuss, you're the man of words, you make my life worth. Thank you for your wise life lessons. 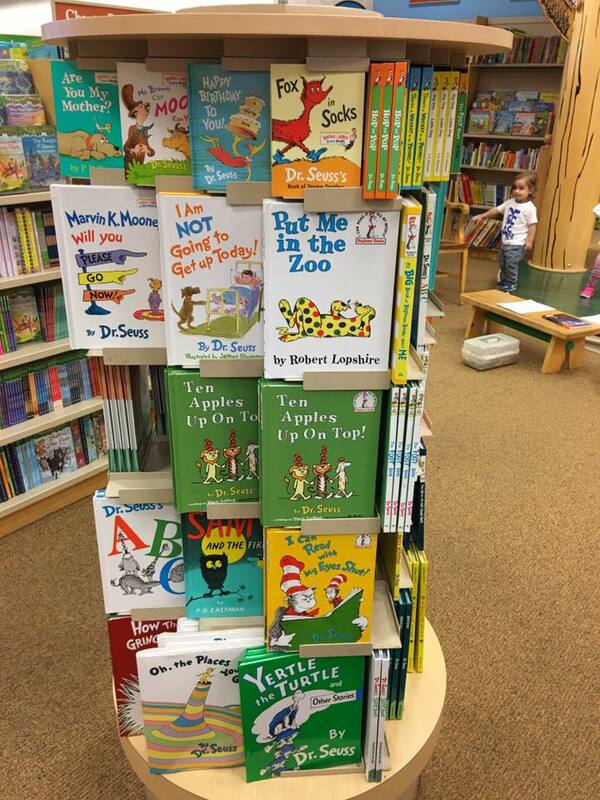 Which Dr. Seuss's books is your favorite?